If you're one of the lucky ones who get two hours for lunch (plus another 15 minutes for the pick-me-up 'carajillo' coffee with a shot of brandy in), or maybe you're even luckier and you're in town on holiday with nothing but time, with warmer weather in the air, it's the perfect time for a change of scenery at lunch. Get out from the grey walls of work or from inside a stuffy restaurant and head for the green grasses of a park or public garden. Get really into the relaxation of it and don't even bother packing your own lunch. Why would you when there are so many great takeaway spots close to our favourite parks? You'll find ample space at Parc de la Cituadella (Psg. 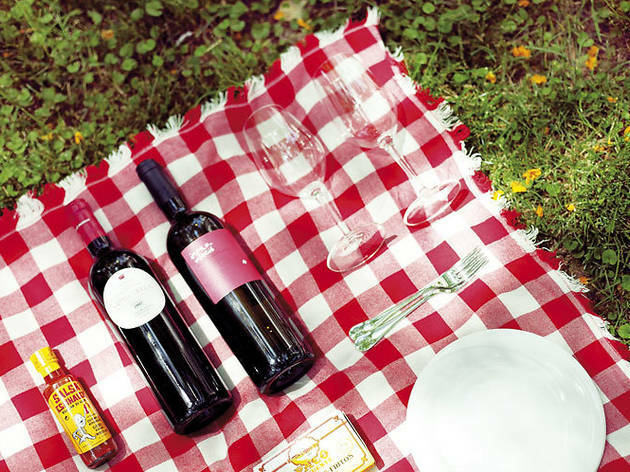 Picasso, 1) to spread out a picnic blanket. And if you're looking for food to go around, the restaurant Pim Pam Plats (Rec, 18. T. 93 315 20 93) just around the corner is ideal: they have a variety of options on their menu from fresh ravioli and all types of lasagna to an impressive list of vegetarian dishes, like curry and couscous. They're also specialists in finger food, like croquettes, spring rolls, quiches and various types of meat and vegetable pies, which are just the thing for eating outdoors, and it's all packed to take away. They do to-go menus that range from €5 to €10 and usually include two dishes but no drink for the price. Bet you didn't know that Leku (Joan Güell, 189. T. 93 490 38 10), Time Out Barcelona's best restaurant of 2103, has a takeaway menu. For €12.95 euros, with dessert included, you'll leave with three to-go boxes filled with delicacies like their famous croquettes made by Sergi Amor or their delicious calamari noodles. Your destination is the Jardins de Maternitat (Trav. de les Corts at C/Maternitat), just a couple blocks away. There, while lazing in the grass, you can gawk at the magnificent magnolias and enjoy one of the leafiest, and least-frequented parks in the city. In this phenomenal park made up of five hectares of green land (Diagonal, 130), it’s sometimes difficult to find a bit of shade, but this fault is offset by the installations and sculptures designed by Jean Nouvel. To contrast these futuristic, chrome structures that seem like something out of a Moebius comic, you should stop by Recasens (Llull, 201. T. 93 485 40 74), a fantastic deli where you can create the perfect picnic basket made up of cold cuts, cheeses and pates. It'll feed three people for just €20. Looking for something even easier? Try the sushi restaurant Neko (Pujades, 121. T. 93 320 83 29), where you can get a great deal on takeaway sushi: 14 pieces for just €8.50. The Paula Montal gardens may tempt you with promises of peace and quiet, but at midday it fills up with those rambunctious little creatures who can't seem to understand why anyone wouldn't want to run around screaming during all waking hours: kids. For more relaxing environs, walk along another block and park yourself on a bench in the Jardins d’Emma (Comte Borrell, 159). Have lunch among the palm trees, a statue, four swings, and a very welcome guest: an almost eerie silence. On your way, make a stop at Pizzeria MariCel (Diputació, 65. T. 93 423 89 71). Don't let the name fool you – it's actually a little takeaway shop run by a sweet Argentinian woman. They have three €5.95 menus that feature spinach cannelloni and chicken with potatoes, potato salad and steak with potatoes, or German salad (more potatoes!) with roast pork. There are also a vast array of dishes sold by weight that include scrumptious Argentinian empanadas, 'bacalao a la llauna' (battered cod with garlic and parsley) and stuffed calamari. And you can't beat a Milanesa sandwich (breaded beef or chicken), which aren't easy to come by in Barcelona. Best of all, you can take hot food to go and eat in the gardens, which are just on the corner. A bit of advice: call ahead to order to avoid waiting to get your picnic started. This is your giant bubble of oxygen, sun and chlorophyll, especially if you work in the area near Francesc Macià and can escape for a while. Turó Parc (Av. De Pau Casals, 19) is a green paradise in the middle of one of the least exciting areas of the city. Just snapping a blanket out over the grass can brighten up anyone's day and change a vitamin D–starved carpal-tunnel sufferer into a sun worshipper and champion picnicker. First head over to El Petit Celler (Beethoven, 8. T. 93 200 82 60), a bodega lined with endless white walls stocked with an enormous variety of spirits. So as not to overdo it on your lunch hour, though, ask for suggestions on a good selection of pates, cheeses and cold cuts: they always get it right. 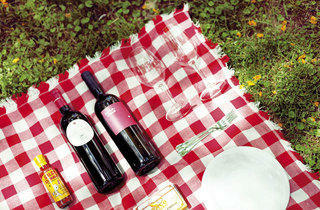 This is the best plan for those who want a more relaxing picnic filled with slow food and slow walks. The Parc del Turó de la Peira (Pg. Fabra i Puig, 396-408), categorised as an urban park, is really more of a wild forest area. And because the dishes at Rostisseria Rivelo (Petrarca, 42. T 934 29 78 05) seem like they're from an age when humans discovered that eating meat was something two-legged animals could also tear into, what better fit for your picnic feast? Try the suckling pig, pigs' feet, or rabbit and chicken in all their varieties. Eat first so your hunt doesn't go cold, and then after a nice siesta, help your digestion along by exploring your natural surroundings.